Satya Nadella is pushing Microsoft into a future he believes will be led by artificial intelligence platforms. I’ve never had a repeat guest on Fortt Knox in the year and a half I’ve been doing this. That’s not because there’s a rule against it, I just never had a compelling reason to. A few days ago I flew out to Seattle and then went up to Microsoft’s headquarters in Redmond, and sat down with CEO Satya Nadella. Satya was my guest in October, when his book "Hit Refresh" came out. 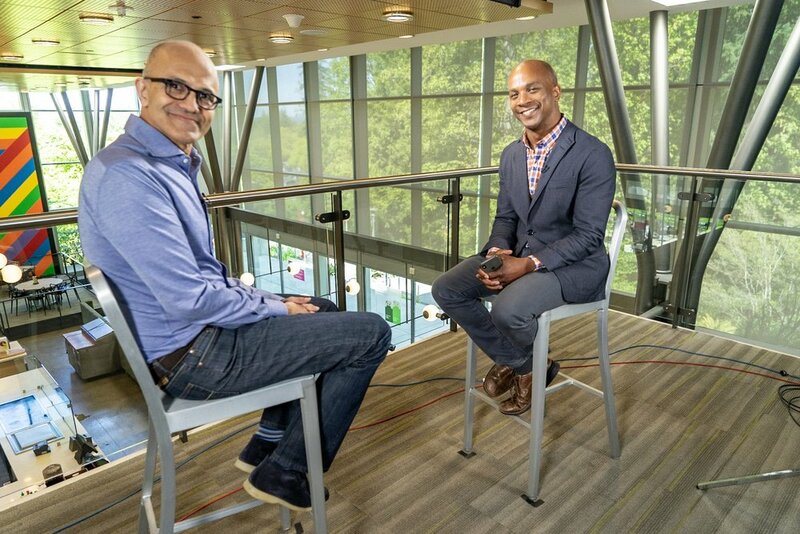 It was a big deal because Nadella has dramatically changed the perception and trajectory of one of the world's most iconic companies, and most people had no clue who he is. "Hit Refresh" was his big moment of public definition, both for his vision for Microsoft and for himself as a leader. Satya wasn't new to me, though. We first met about seven years ago, before he was CEO, on one of his trips to Silicon Valley. I was CNBC's tech correspondent, he was in charge of Microsoft's Server and Tools division, which at the time most people outside of the tech industry thought was a boring backwater. The bright spotlight was on phones, PCs, Xbox, even search. Little did the masses know that the future was in cloud, and Satya Nadella's division would keep Microsoft relevant. So – fast forward to today, May 2018. Microsoft has its Build developer conference in Seattle, and Satya took some time ahead of it to talk about his vision for the company's platforms; his chief rivals in the cloud, Amazon and Google; his views on data privacy after Facebook's Cambridge Analytica scandal; his view on U.S. trade tensions with China, and a lot more. A quick correction – when I'm ribbing him in the beginning about his book tour, I say he was in Better Homes and Gardens. It was actually Good Housekeeping. Go figure.